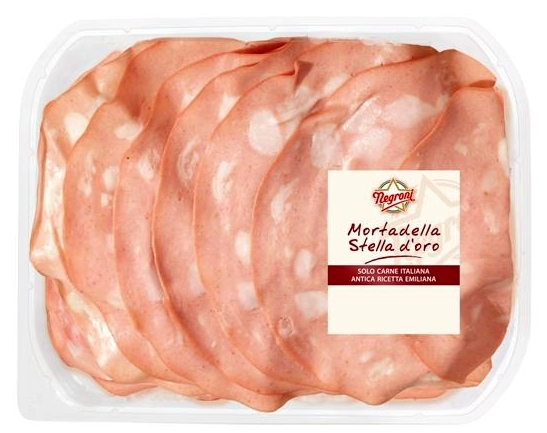 NEGRONI Mortadella is manufactured in Italy, following an old tradition, which provides the pork meat to be cut in pieces and minced it, while the fat parts are diced through a special device. The minced meat and cubes of fat, along with such ingredients. It's flavour is rich, but also mild and delicate.